- Select the "Add" tab to add bicycle parking spots to the public map. 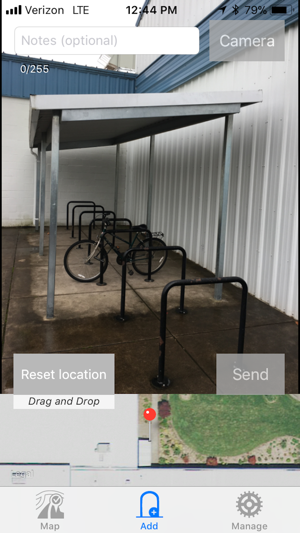 Pinpoint the bicycle parking location with drag and drop feature. - Select the "Map" tab to view bicycle parking in your area. -- Parking spots are only loaded for the area that you are looking at! If your city has a lot of bicycle parking, zoom in to where you want to park for the best experience. - Select the "Manage" tab to enable special features such as the "Upload Later" feature. 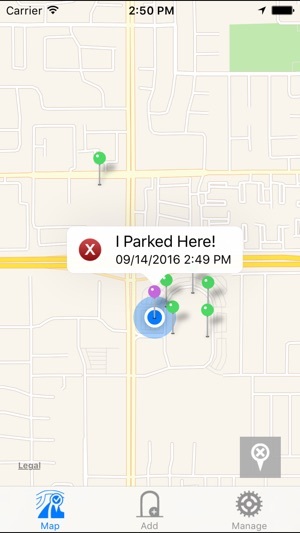 -- Upload Later lets you save parking spots to your phone and upload them later. 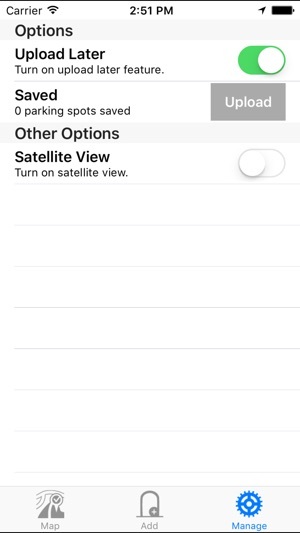 Ideal if you want to wait for a WiFi connection to send the images or for bicycle parking in locations with weak cell signals. Ever wonder where the nearest bicycle parking is or have trouble finding a bike rack when you are in a rush? 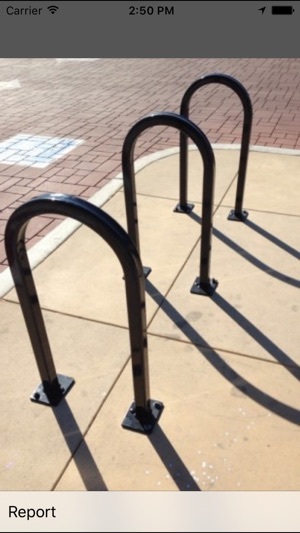 The bicycle parking project is taking advantage of modern technologies to help solve that problem for good. 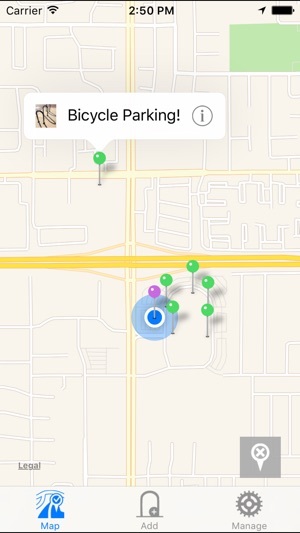 All green pins are user generated data with an image of the bicycle parking area and optional notes. All purple dots are from external data sources such as city data, department of transportation or other bicycle parking projects. It is pretty simple. If you are looking for bike parking, open the app and look at the map in the area where you want to park. If there isn't anything yet you can help by snapping a quick picture and sending it in when you find a bike rack or any other bicycle parking that isn't on the map yet! With this app, and help from cyclists all around, we will never have trouble finding a place to safely lock our bikes again. Now we can pinpoint the exact location! Drag and drop the bottom of the pin on the mini map before sending new spots. 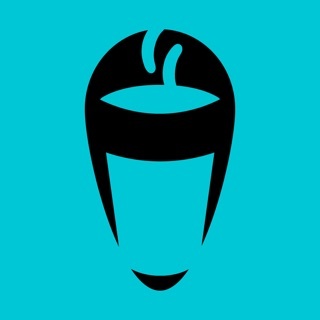 Tap refresh to refresh your current location. This is just what I was looking for — and I was surprised to see that there’s a lot of data in my city already. I love the idea and easy to use interface, needs more users though to make useful but some cities have a lot of parking spots labeled. Great app idea but I would love to be able to search types of bike parking. For instance I prefer bike lockers for peace of mind and it would be great to search for just lockers. Perhaps even give lockers have a different icon.